This extraordinary soap is only made in the USA and has the desirable antimicrobial and FIR properties that have the numerous benefits. Leaves skin and hair feeling smooth Antimicrobial action FIR benefits Helps heal skin infections Odor neutralizing properties. Hapad manufactures EyeOnic® orthotics that are a medically designed, proven effective and affordable. Hapad also manufactures EyeOnic® sports wraps and soon to be offered EyeOn FIR socks and other products. Jean-Pierre Hourdebaigt the Managing Director of Animal Awareness LLC of Wellington, FL, the author of 12 books, over seventy news articles and 70 videos. Jean-Pierre is a Licensed Massage Therapist with more than 25 years of experience in both human and animal practice. Jean-Pierre tested EyeOn products on his own aches and pains, his client's horses and dogs to endorse our products. “The Tradition of Cheating at the Sport of Kings” Most race horses, despite strict regulations prohibiting it, are given illegal drugs on race day. Many of these are performance enhancement drugs that affect not only the race, but the thousands of dollars at stake. Glenn Thompson, a race horse trainer with over 30 years experience, reveals the darkest secrets behind the scenes of the Sport of Kings. Learn how he feels that 85% of thoroughbred trainers give illegal drugs and how top racing officials turn a blind eye. 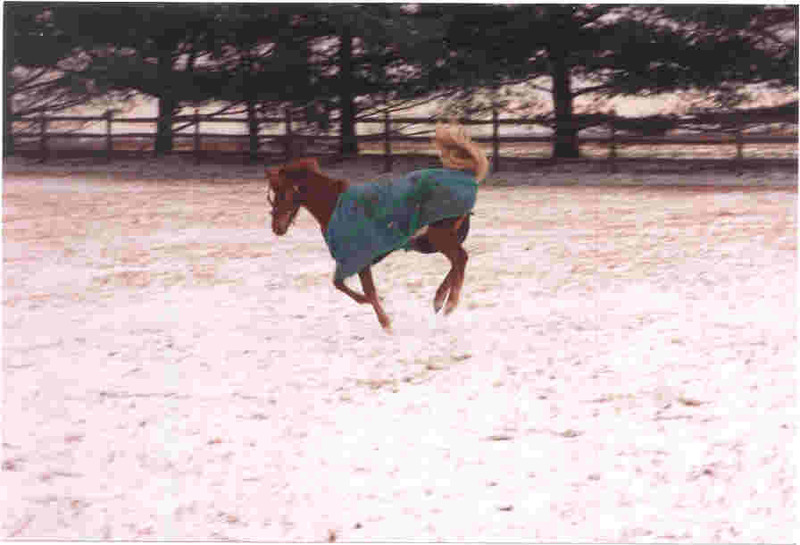 Learn how champion horse George Washington was put down and jockeys get seriously injured when safety protocols are not followed. The secret behind the sport of kings will both shock and amaze you. The #1 Horse Information Resource You will find a plethora of information all horse related on this web site including health related issues. 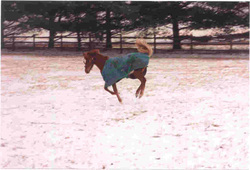 Equine Info Exchange link to Is Icing Still a Valid Treatment for Injuries? Discuss Cats, Dogs, and other pets on all subjects. Pet health, nutrition, pet care, training, allergies and more. The FEI Database is updated in real time by the National Federations and the FEI. It contains detailed information on horses, competitors, rankings, etc. The USEA is a non-profit 501 C (3), educational organization committed to providing eventing enthusiasts with a competitive level suited to their individual skills. USHJA is the United States Equestrian Federation recognized FEI discipline affiliate for show jumping and the USEF recognized national affiliate for hunters. They tackle the daily trials & tribulations of owning young horses. Covering everything from behavioural issues and schooling exercises to injuries and first experiences. Haynet is a leading equestrian and countryside blogging directory in the UK, telling your stories from the stables to the fields. Karina started this blog not only as a space to share my personal style inspiration and to give trustworthy reviews, but as a place where I can showcase and support businesshorsewomen. There's no horsing around with EyeOn®!